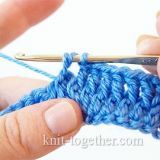 Crochet rib stitch - it's relief and enough elastic pattern, which you can use for crocheting: cuffs, gloves, mittens, socks, hats and in other cases, where important elasticity of the fabric. 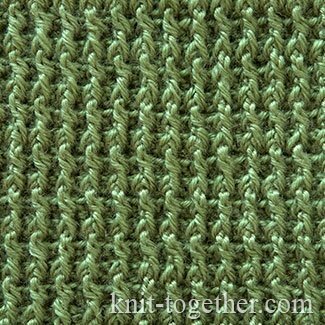 Rapport of this pattern in horizontal - 2 stitches, in width - 1 row. For an example make an even number of chains. 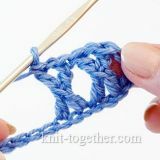 In that case, if we use the usual chain of the chain stitches, then the first row we make with double crochet stitches. 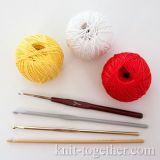 If we use foundation double crochet, then the first row - it's the stitches of foundation double crochet. 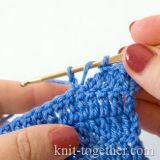 After the first row is made, we start to crochet a basic pattern. 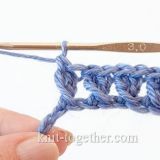 3 row: 2 turning chains, * 1 back post double crochet, 1 front post double crochet *. 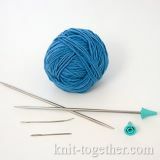 Then continue to crochet, alternating the front post double crochet and the back post double crochet. At the same time, we make the front post over the front post of the previous row, and the back post over the back post of the previous row. Front post double crochet (fpdc). Back post double crochet (bpdc). 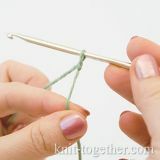 We offer to your attention a video tutorial: how to crochet rib stitch using the foundation double crochet. Don't forget to subscribe to our channel on YouTube!